Tool Specialize in Recovering Mailboxes from Damaged, Offline, Dismounted EDB files with Accurate Results Assurance. Repair and recover inaccessible EDB files coherently. 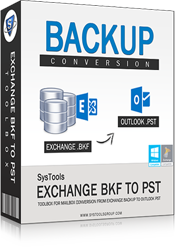 Conversion of recovered EDB files to PST format. Provide valid destination for EDB to EDB conversion. Offers dual scanning mode for flawless EDB recovery. 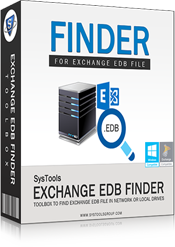 Automatically searches for EDB files in local drives. Data based email filtering options for selective conversion. 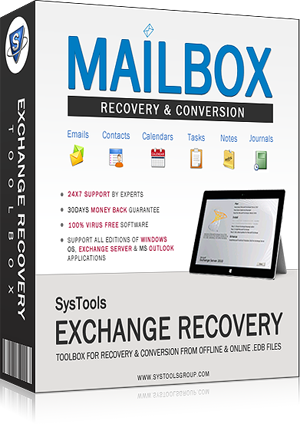 Recover Exchange mailbox even during its failure. Summary report to display all the recovered mailboxes. Troubleshooting Exchange Related Problems at Enterprise Level. Client Queries are Important to Us, We Assure to Solve Them. Entrusted Payment Gateways for Secure Product Purchase. I have gone through this recovery product. It is astounding, in light of that fact that it recover my whole corrupted exchange database inside few clicks. Furthermore, the best thing about this product is that there was no supportability issue with exchange versions or windows OS. It’s really a great program. I truly loved this software. The highlights & abilities of Exchange Backup Recovery product are remarkable. At first, I was uncertain about data recovery from corrupted backup files. But after seeing the recovery result, I got what I was searching for. Genuinely worth appreciation. 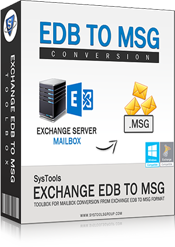 When the EDB files gets corrupted and data become inaccessible for the users then EDB Converter can help users, who work perfectly under the Exchange® Server – MS Outlook collaborated environment. The situation of user mailbox data inaccessibility will be critical as the EDB files are the store house of information that is needed for the work to be progressed smoothly. 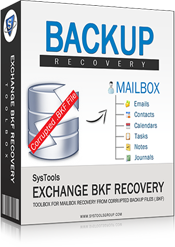 Exchange Recovery software is a multi tasking tool which can recover and convert EDB to PST files. The database files (.edb) in any state: offline, corrupt, dismounted can be recovered with the tool. Advance Scanning: Chose between the two scanning options to retrieve data from EDB file. Quick Scan for small sized EDB files and Advance Scan for precise recovery from large sized files. 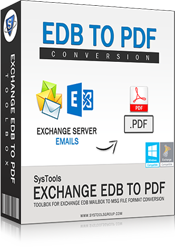 Recover EDB File: This Exchange EDB to Outlook PST converter specializes in recovering user mailbox data from damaged, offline, dismounted EDB file with accurate results assurance. Preview Mailboxes: Once the scanning process is full, the recovered mailboxes from EDB file can be previewed within software panel. The restored data with EDB converter can be verified. 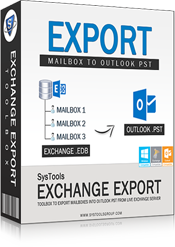 Export Options: The mailbox data recovered from EDB file can be exported to PST, MSG, and EML file. 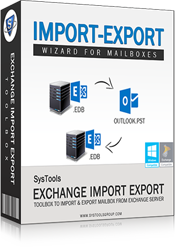 Also, there is provision to export mailbox (es) in EDB file to another Exchange Server. 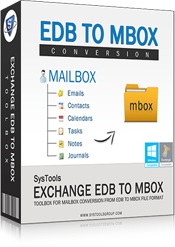 Export EDB & STM: Along with mailbox data saved in EDB files, the multimedia data for corresponding EDB file saved in STM file can be recovered. Data conversion for all Exchange versions supported. 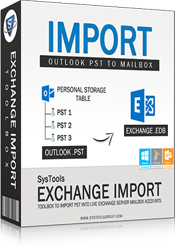 Split EDB File: The tool to convert Exchange mailbox to PST file gives choice to split PST file. 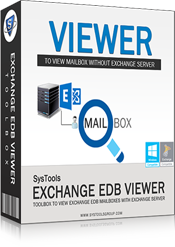 Ultimately, this gives the opportunity to split the large sized EDB file with multiple mailboxes. 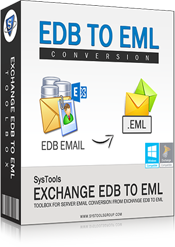 Naming Convention: For mails saved from EDB to MSG and EML file format, naming convention options are set within the EDB converter. From the seven options, chose convenient name for the emails. Create CSV Report: Users can restore CSV report after the whole exporting procedure of Exchange EDB files of all file formats such as PST, EML & MSG formats or an Exchange option as well as it provide target path in excel sheet. Copyright © 2007-2018 www.edbconverter.com | All Rights Reserved.